Second day at Cyclo Park in two days beginning to feel like our second home. The race took place on the bottom circuit this was the first time Harrison had raced this combination of track. 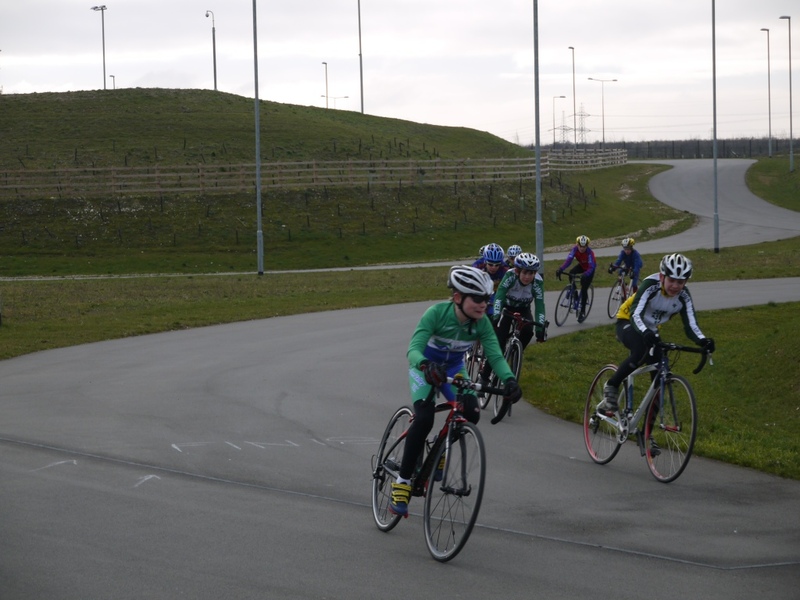 The race was held with the U8s U10s & U12s which Harrison was in. 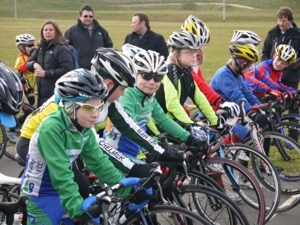 Some familiar faces on the start line today with Arron and William to note. The race got off to the normal quick start on lap 2 the field split out a bunch of around six riders came clear of the rest of the field. Arron and William broke away and looked to have the race in control. Harrison attacked with the some of the others in his group and closed the gap. This done with three laps to go looked like it was going to make a spectacular finish with H putting in hard effort attacks right into the bell lap, on the last lap this proved to much for H and he got caught up with some back markers on his final attack which didn’t work out very well he finished 6th. Again another lesson in race position for H it was noted by many and including me that his attacks are strong but he needs to drop back one maybe two positions not five or six which he done today it left him to much work to do on the last effort. Not sure what the final result was but well done to Arron and Will who gave Harrison a good race. 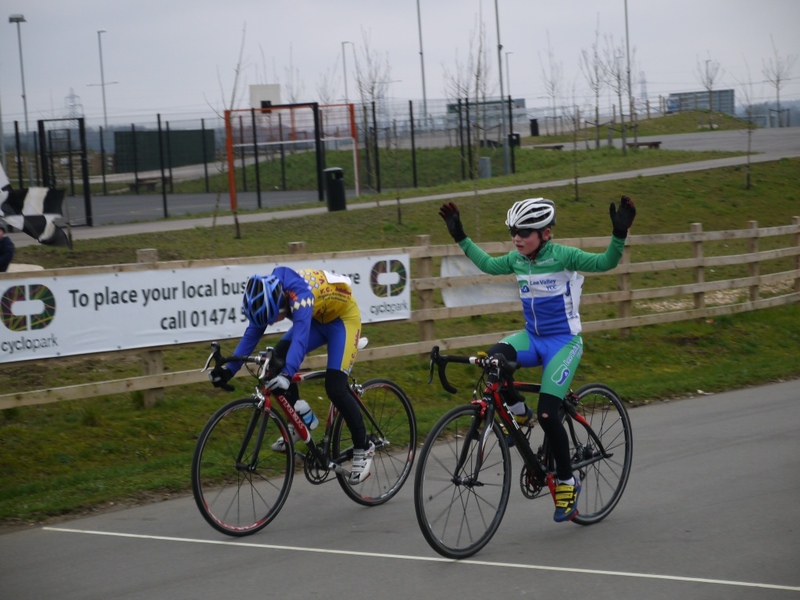 CJ used his powerful sprint to secure 2 spot in the under 10s.